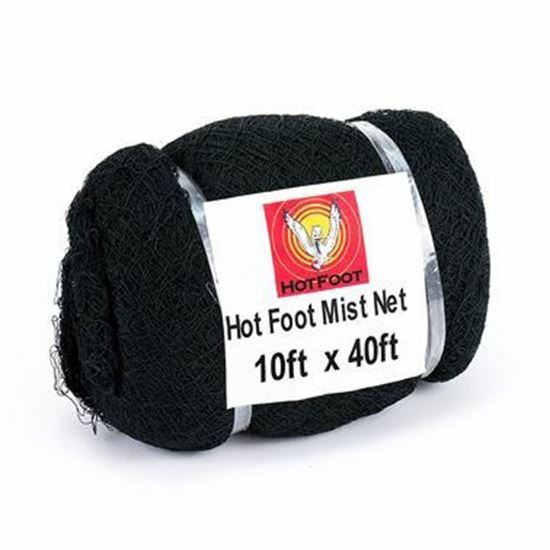 Safely capture and release pest birds with Hot Foot Mist Nets - where allowed by law, mist netting is one of the most effective and humane ways to remove birds from enclosed or semi-enclosed areas. * Our microfilament nets have webbing so thin that birds fly into the nets without even seeing them. Once their flight is interrupted, they fall safely into the pouches below, ready to be removed. Hot Foot Mist Nets are also useful for bird capture during bird banding and similar projects. Our mist nets come in two sizes: one for sparrows and similar size birds, and one for pigeons and medium birds, which will also work for smaller birds. *Note: Please do not leave these nets unattended! These nets are designed for capture and immediate release. For proper usage, qualified personnel must be on hand to release birds from the netting pouches and back into a safe environment. Please check local regulations before implementing any bird capture operations.